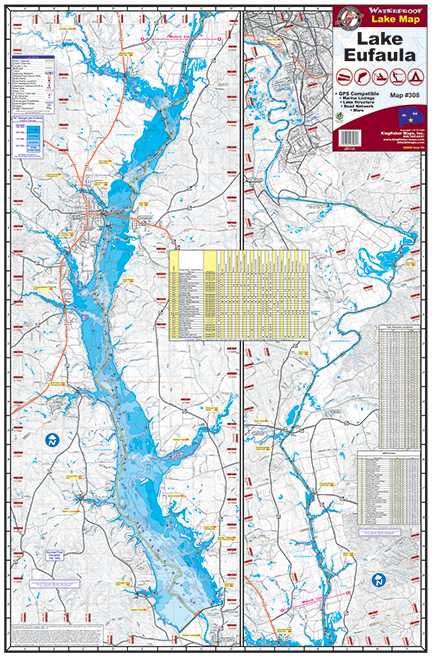 Lake Eufaula / Walter F George Reservoir #308 – Kingfisher Maps, Inc.
25″x38″ One-sided Waterproof and Tear Resistant Map! 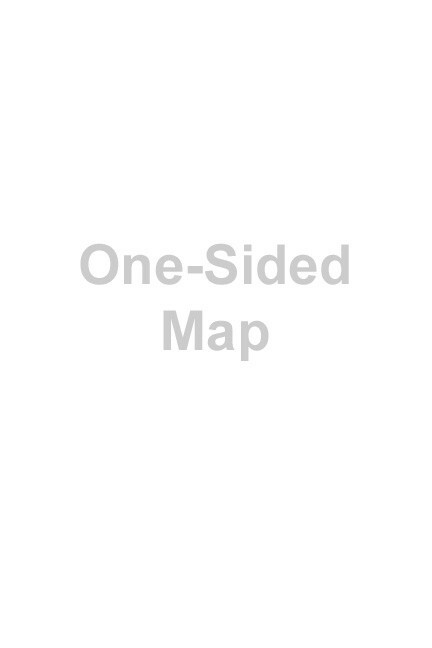 GPS compatible with Marina listings, Boat Ramps, Lake structure, Road network & More! Lake Eufaula (Walter F. George Reservoir) is a 45,181-acre reservoir located on the Chattahoochee River along the border of Alabama and Georgia comprising 640 miles of shoreline. This US Army Corps of Engineers reservoir stretches from Phoenix City, Alabama, to the Walter F. George Dam at Ft. Gaines, Georgia. Eufaula National Wildlife Refuge, an 11,160-acre refuge on the edge of Lake Eufaula, provides excellent opportunities for public boating, fishing, hunting, hiking, and wildlife viewing. Lake Eufaula hasa national reputation for excellent largemouth bass fishing. Bass fishing continues to be the most popular sport on this reservoir, with anglers catching mostly largemouth bass and occasionally spotted bass. The minimum size limit for largemouth bass on Lake Eufaula is 14-inches. Lake Eufaula also supports an excellent black crappie fishery. Anglers especially enjoy high catch rates on crappie in the spring when the fish are spawning. At that time the fish will be concentrated along submerged trees and other shallow structures in the back of creeks such as Cowikee, Barbour, and White Oak Creek. Crappie can be caught year round by anglers who find the right depth and type of structure the fish are holding around. Summer fishing at night is often productive, usually by anglers fishing at night fairly deep with minnows underneath lights. Catfish are also abundant at Lake Eufaula, with angler catches consisting mainly of channel catfish with lesser numbers of blue catfish. Hybrid striped bass and white bass provide a great deal of excitement, especially in the spring when the fish are concentrated in the upper stretches of creeks.